So thanks to Nick from my course this week for this tip! The expression constraint shows up as fx. 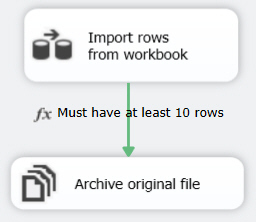 Assume that NumberRows is a variable which holds ... the number of rows imported. 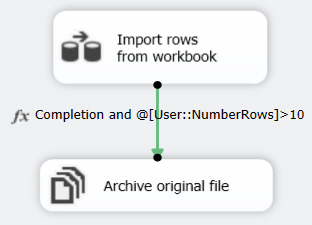 You can right-click to add annotations to control flow diagrams, but the annotation won't move as you drag tasks around. 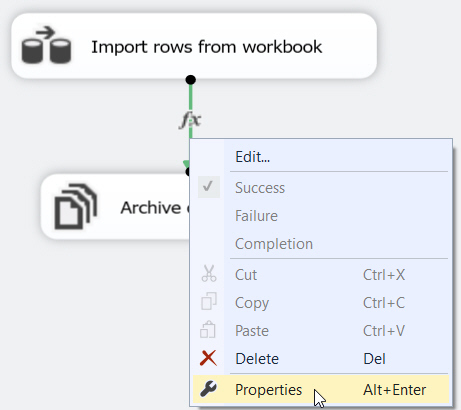 Right-click on the joining line, and choose Properties as shown. See below for the annotation options. AsNeeded Show the fx symbol only. 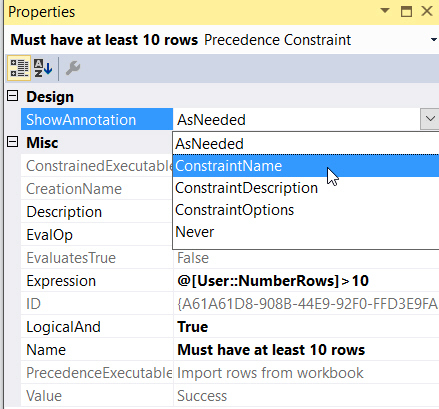 ConstraintName The Name property (Must have at least 10 rows in the above example). 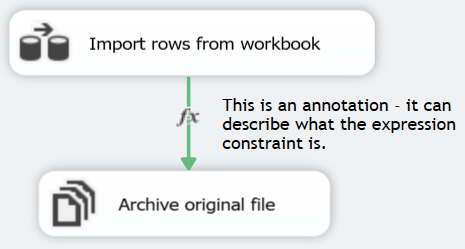 ConstraintDescription The Description property (hidden in the above diagram). ConstraintOptions The full expression entered (see example below). 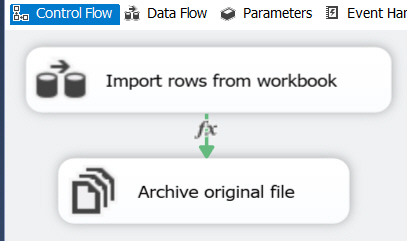 Although the option on the right is dynamic (the package will always display the latest expression), it looks a bit messy!